That's pretty cool. I've always appreciated the loading tool that comes with the crafty, especially while on the go. I'm thinking/hoping when my current crafty fails this new loading tool will be included in the box when they return me my new one! 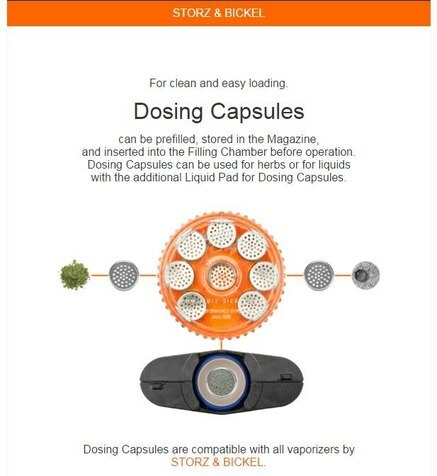 I wonder if these dosing capsules would fit into the Boundless cfx vape? Boundless needs to come out with their own soon! in that case it's sounds like you need a shower, followed by a vape! 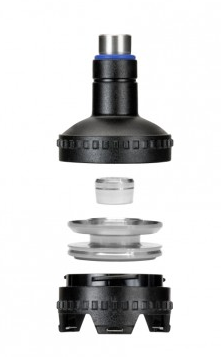 The site does not say if you need to buy the full reducer assembly or just the insert. With your familiarity of the product, do you kniw offhand or can you tell by looking at the pic? Thanks! 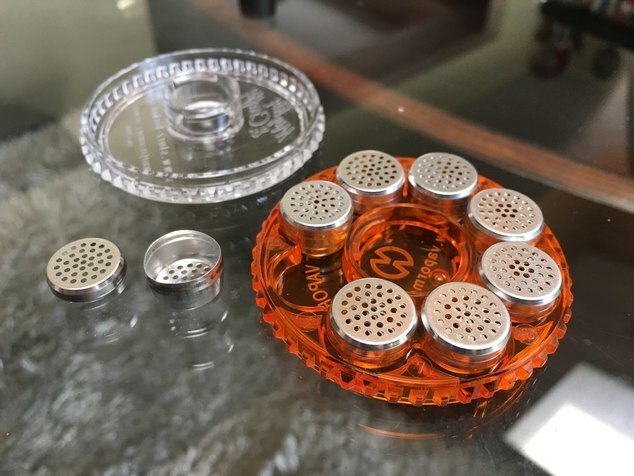 It looks like you do need the reducer assembly from what I've seen and heard, but you might be able to use a liquid pad to hold the capsules in place but I'm not 100% sure! 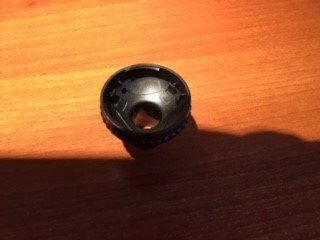 It depends on the thickness of the capsules and if a liquid pad can fit on top but it doesn't seem very likely or why sell the reducers! 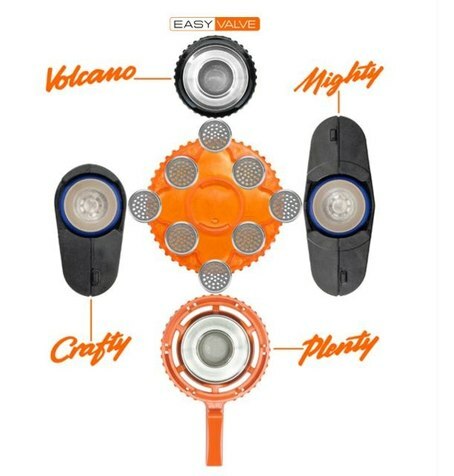 Well, I just ordered the Volcano Easy Valve Reducer and a magazine and 8 capsules. 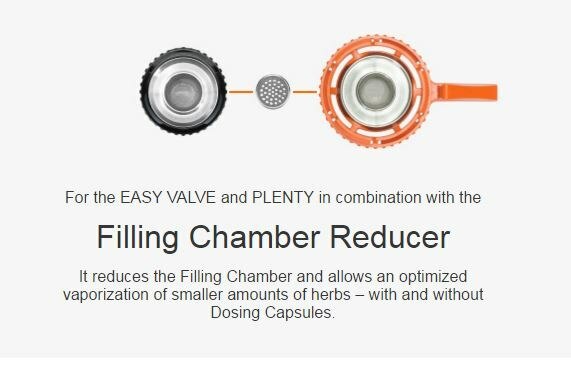 I have no idea why as I have found that the Volcano to run very well on relatively small amounts of herb as it is and it works very well when putting the chamber aside after a bag or two to save for another day. hmmm. $7 USD. i like the idea of this. after conversion and shipping price becomes $20 CAD. don't know if its worth 20$ to me... also looking forward to the review and if you think its worth the 20 bucks. For how cheap they are I don't see why everyone shouldn't try them, I just don't think everyone will love them. I'm still deciding if I want these. I'm curious to try them in my Mighty and 'Cano! I still can't decide if I like them! I keep using them to test it out, and they're definitely not bad, but I don't think I'm gonna end up uing them often. However, for anyone looking to carry around multiple loads of different strains this is a must-have. That's frustrating man, have you reached out to them? These sound as though they would be good for someone who needs several strains for medical reasons. One for nausea/appetite, one for pain, fatigue, sleep, etc. Exactly my thoughts.....preload your daytime product and your go to sleep stuff for the day or whatever other categories you break it out into. 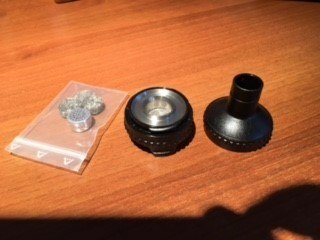 @VapeCritic Bud - just got a shipment tracking email from S&B, must be my new chamber top (they better send me an assembled chamber and not the missing parts!! grrrr LOL). Pretty good response time. Hey bud, any thoughts on a video with demo/usage?